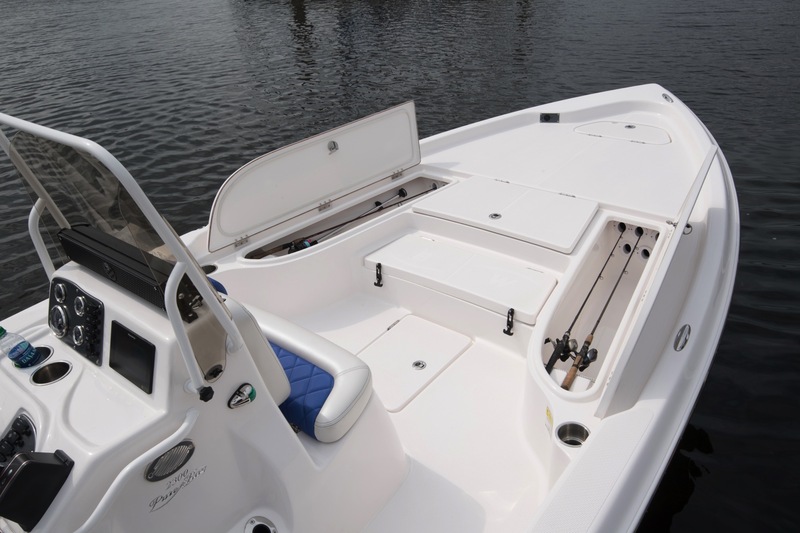 The 2300 PureBay has been created using the experience gained from multiple generations of boat building experience coupled with the detailed feedback of today's anglers. 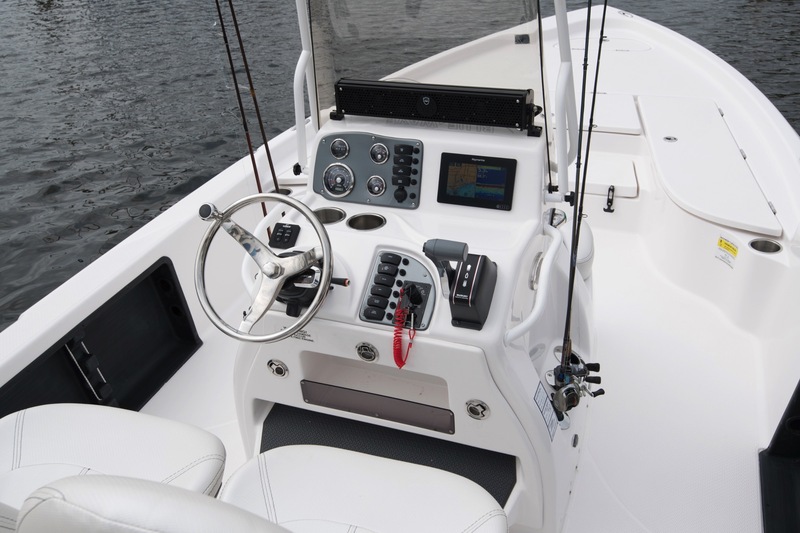 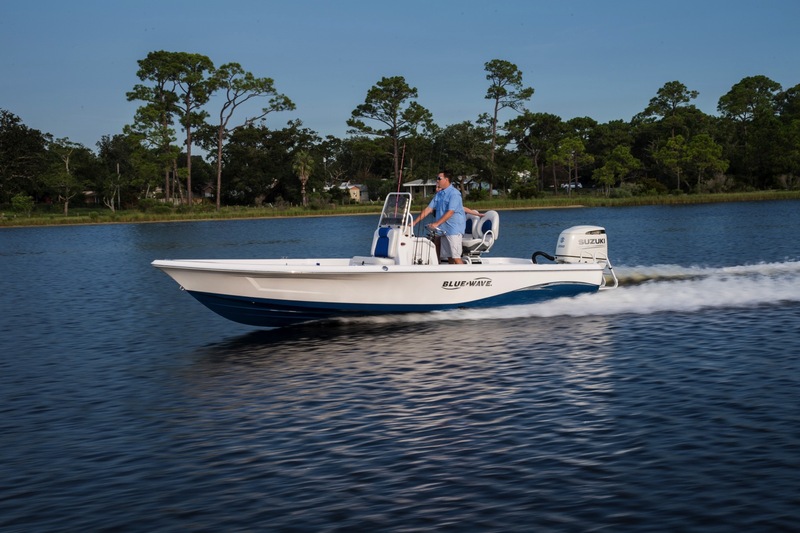 The 2300 Pure Bay is the result of cutting edge research, development and engineering. 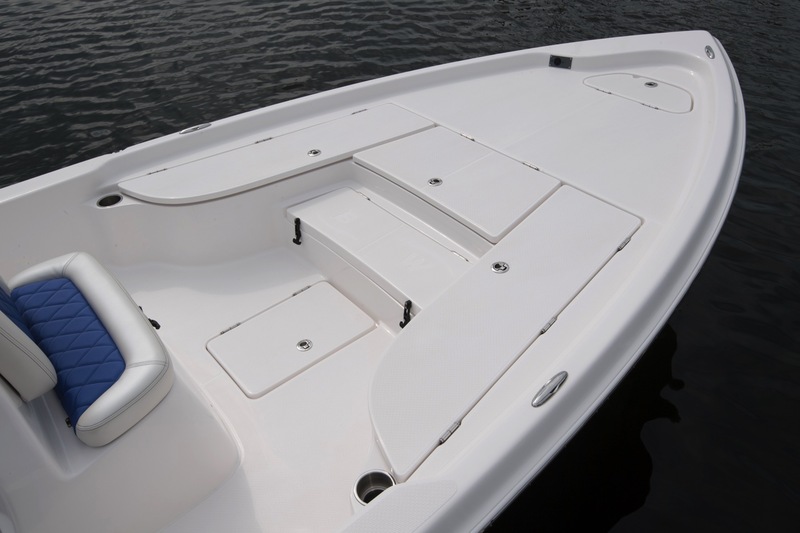 The Kevlar reinforced stepped hull is designed to introduce aerated water to the running surface. 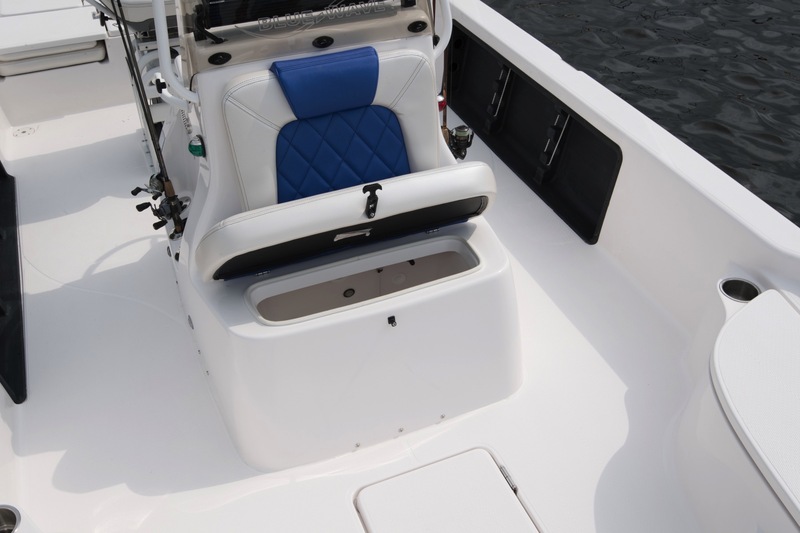 This cushion of air occurs behind the step which reduces the hulls surface contact and friction. 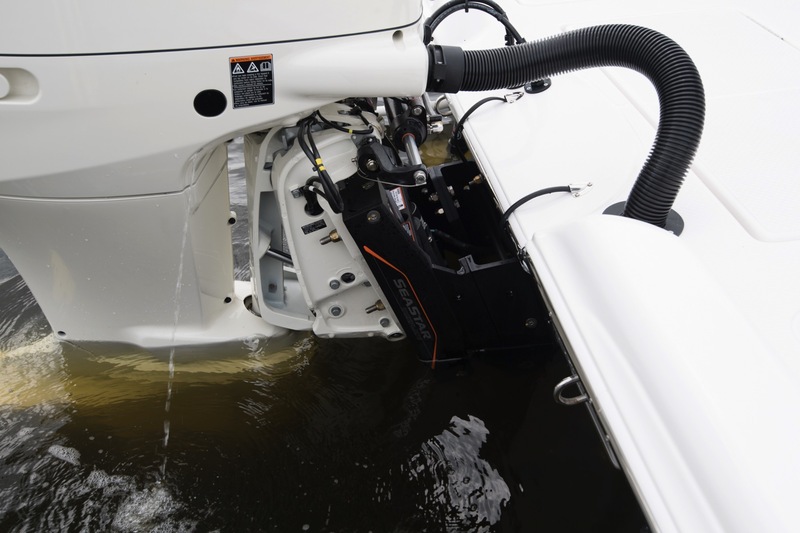 This reduction in friction leads to not only increased overall performance but also increase full economy. 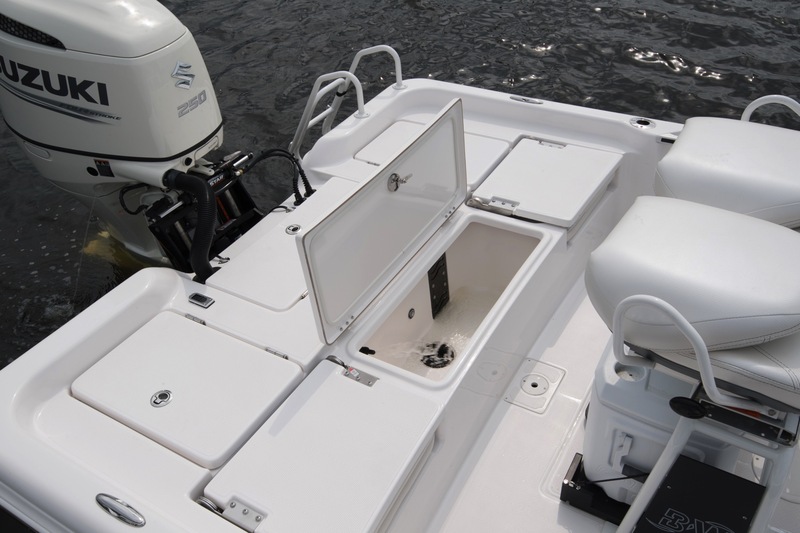 The front fishing platform has multiple storage boxes that are insulated and drain overboard using 1 drains, an over engineered insulated box, appropriately named PermaCooler. 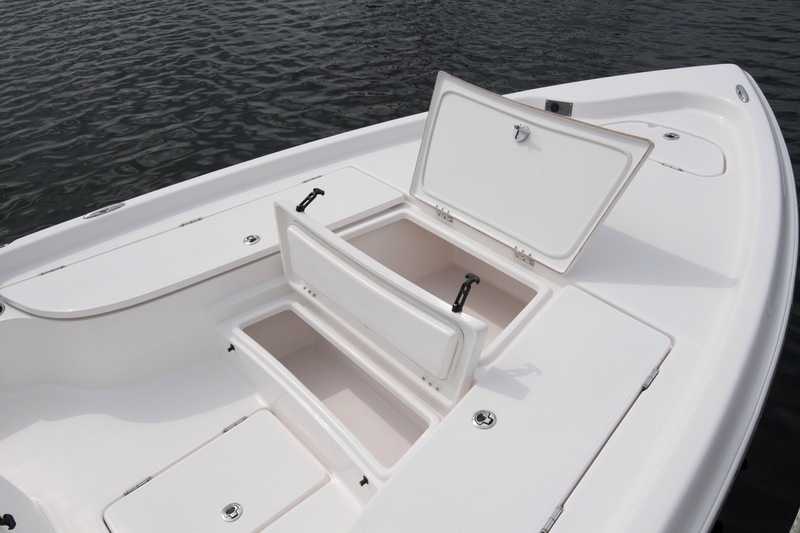 The PermaCooler can be used as a cooler or fish box and has the high density insulation, design and structural integrity that rivals some of the high end cooler brands. 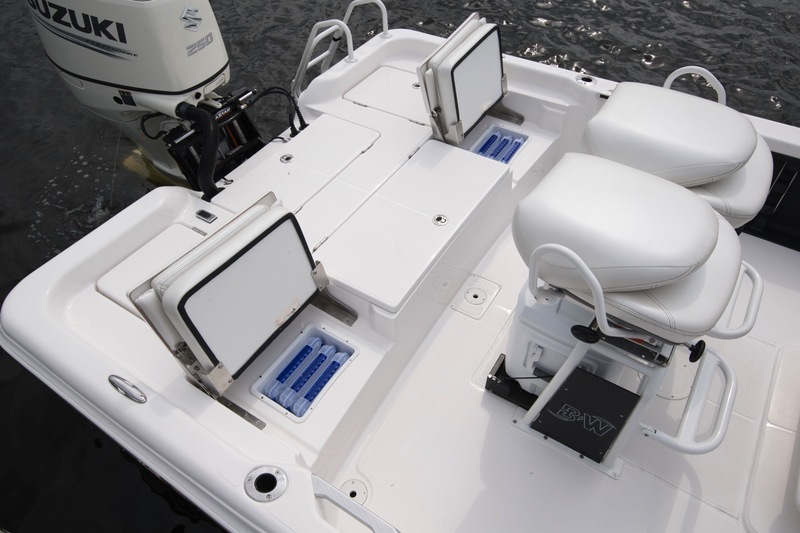 There are also 2 rod boxes that hold over 5 rods per and an anchor storage box that also drains over board. 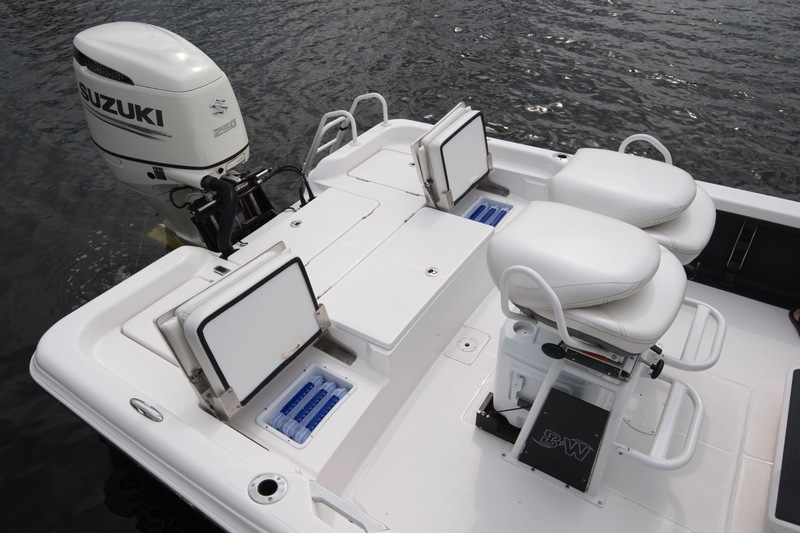 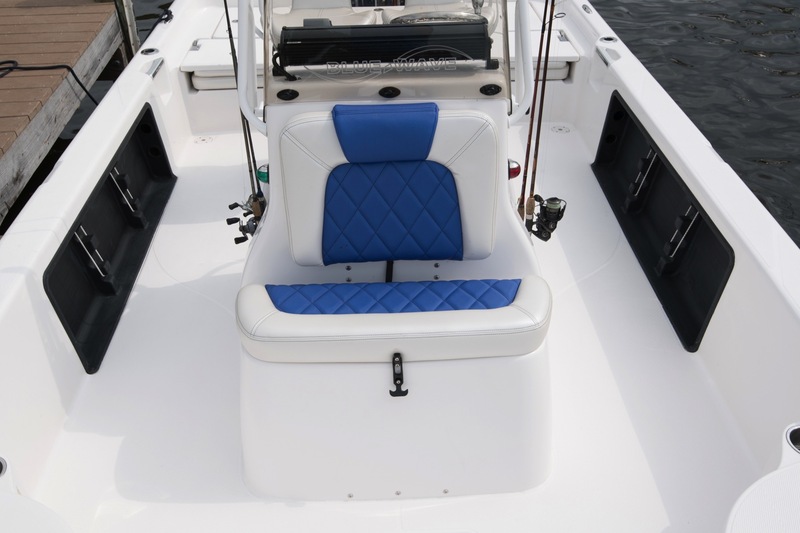 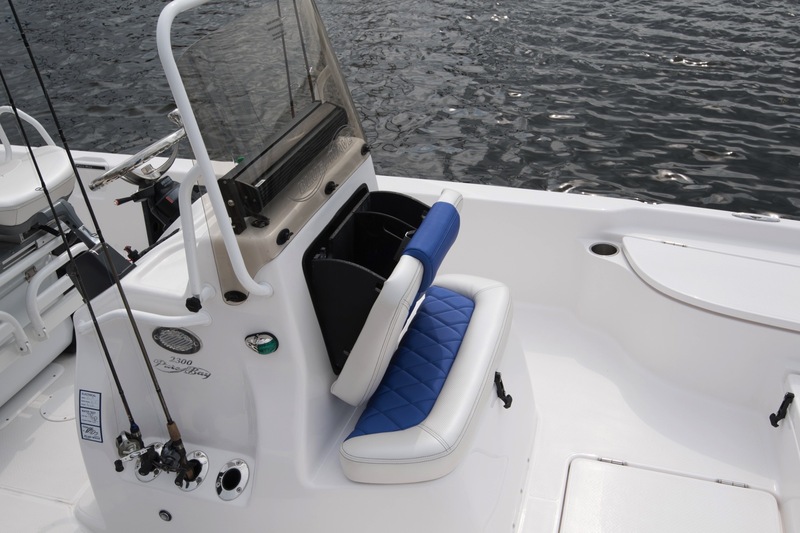 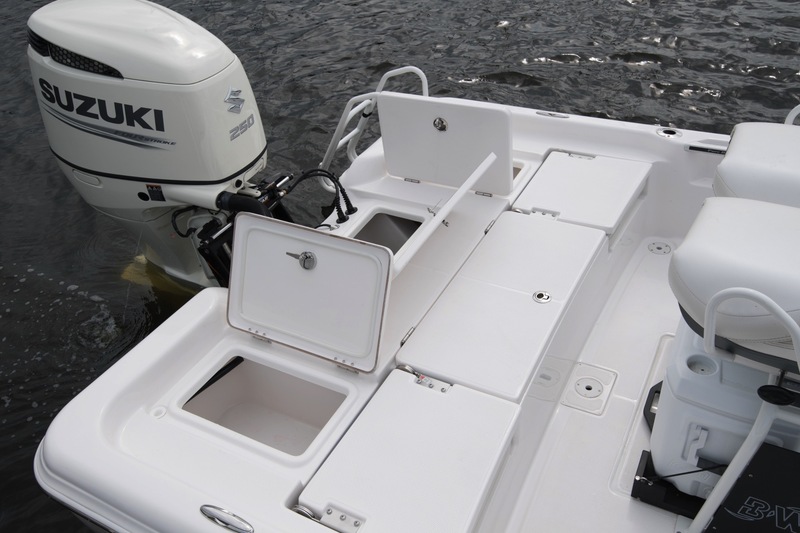 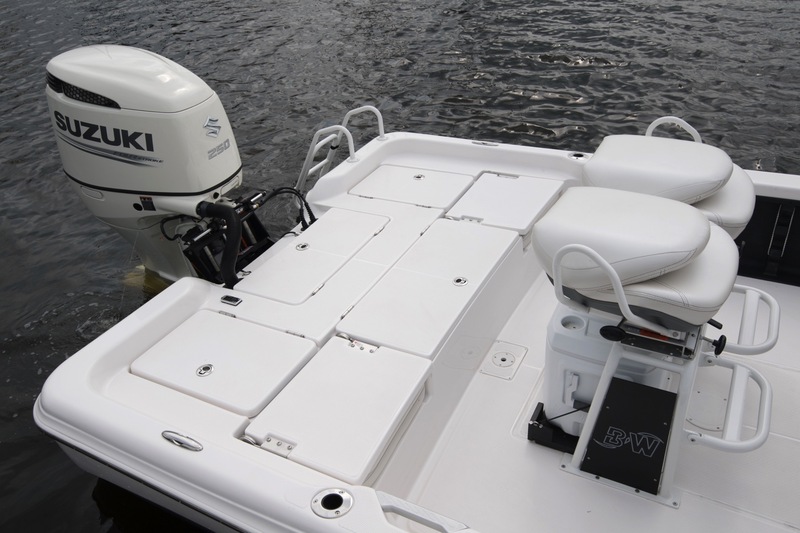 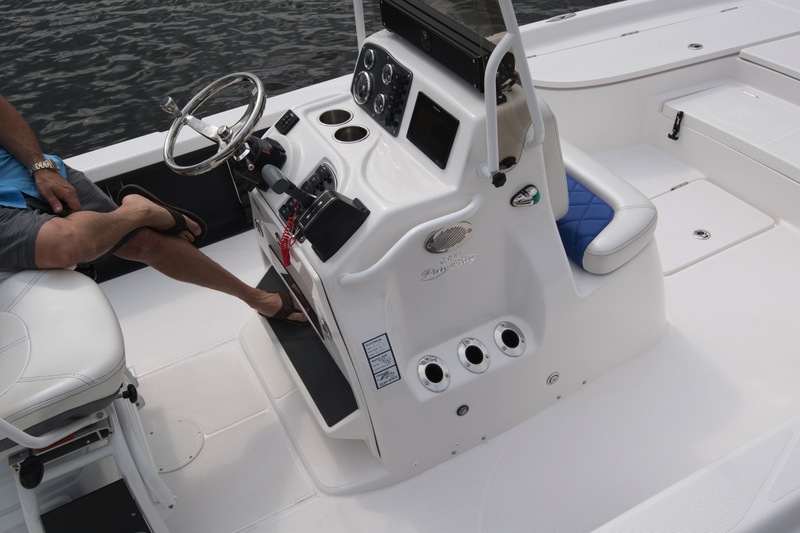 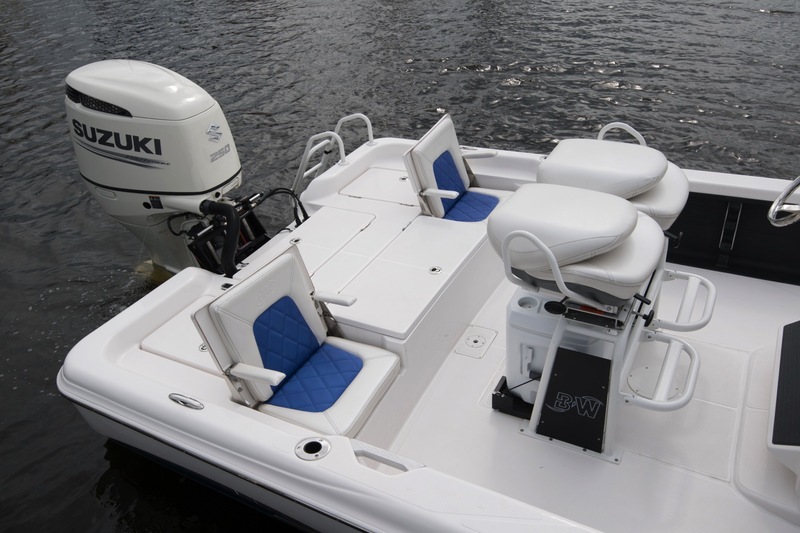 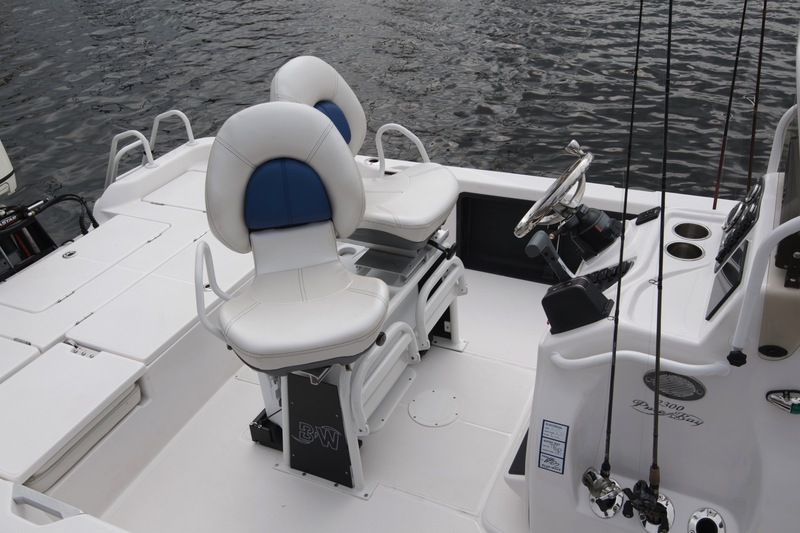 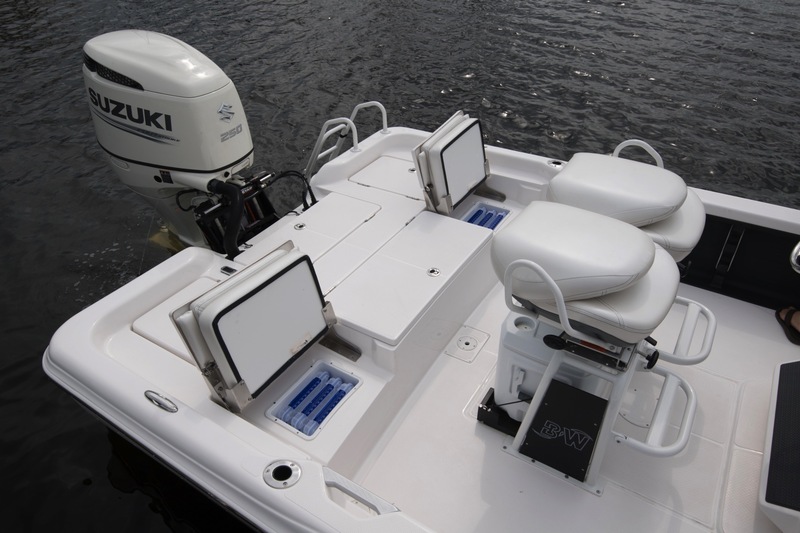 The rear deck features 2 fold down jump seats with arm rests, 2 large storage boxes and a catch and release live well with our exclusive Pro Series drain, recirculating pump and pro air system. 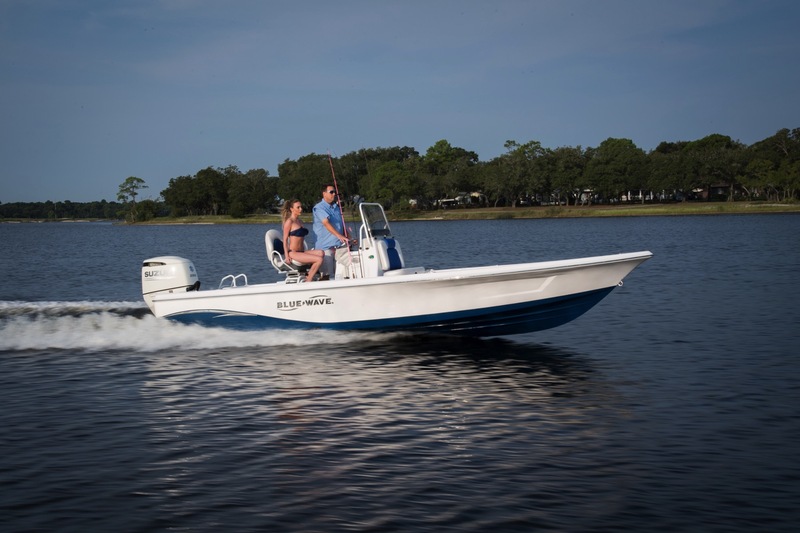 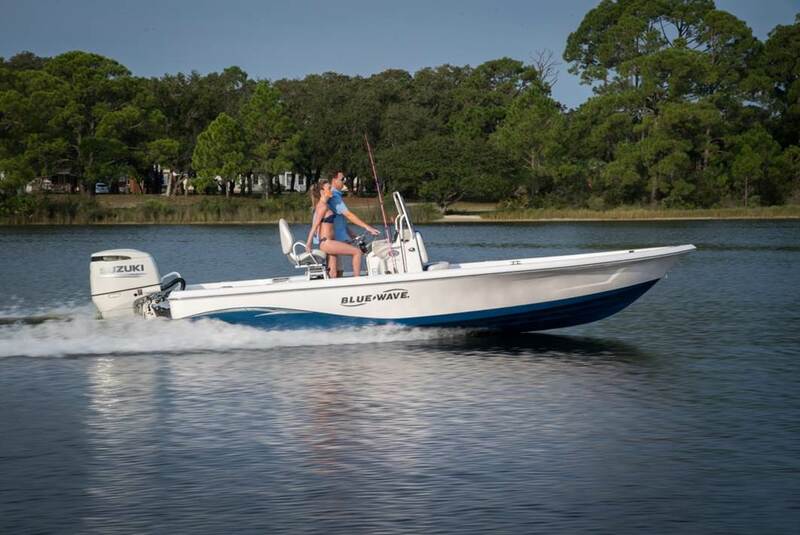 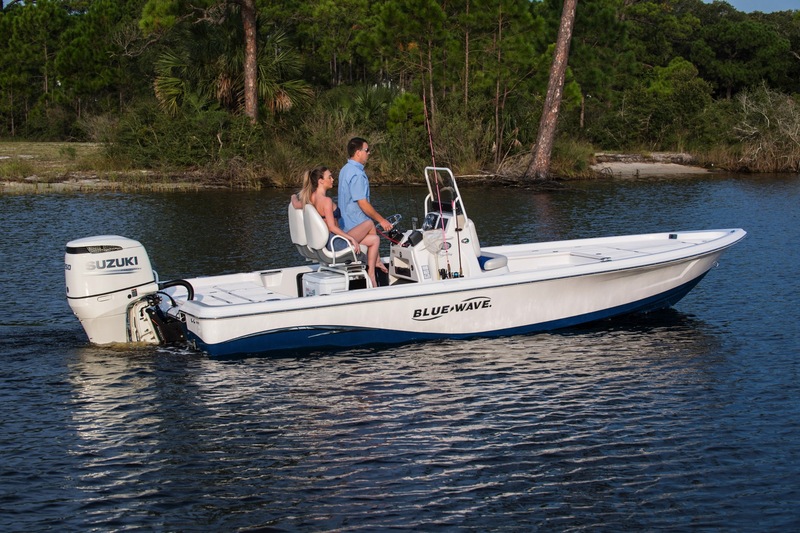 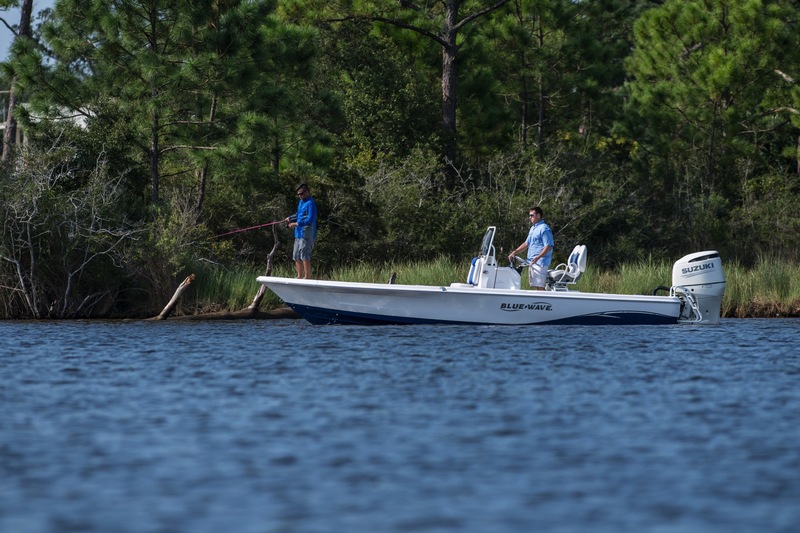 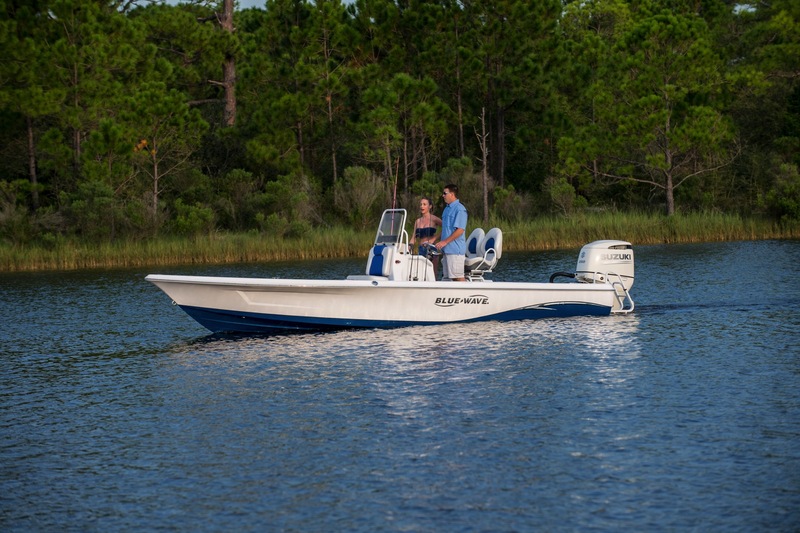 The 2300 Pure Bas construction utilizes the newest, state of the art materials and manufacturing processes backed by Blue Wave Boats limited lifetime warranty.